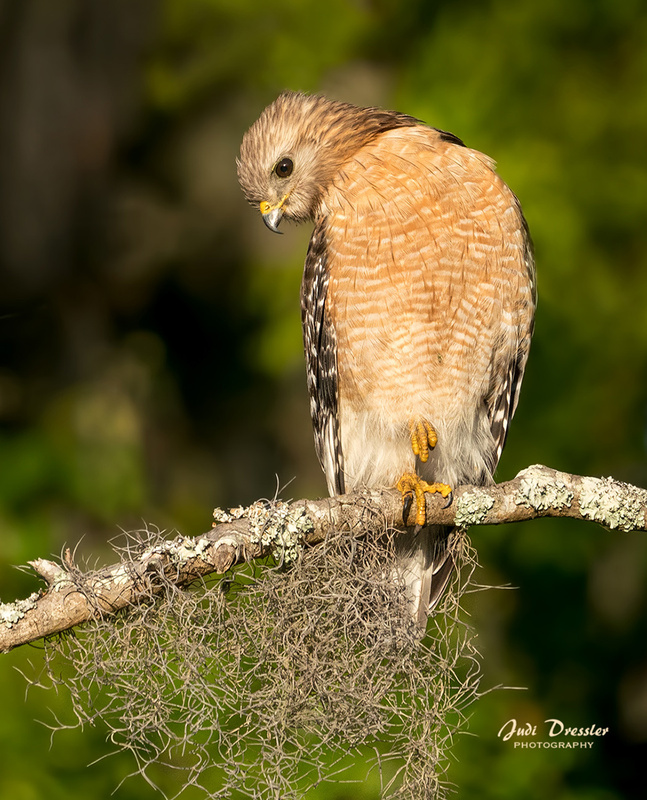 This Red-Shouldered Hawk posed so nicely for me on a beautiful branch, so I managed to get this shot. I had been out photographing shorebirds by a wetlands pond, but the light was bad and so I was heading out, when on the other side of the path, there was this hawk hunting for breakfast. Photo taken on April 17, 2018, near the coast of South Carolina.